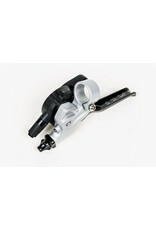 Brompton Brake lever left with intergrated underbar 2 speed shifter Silver Black - J.C. Lind Bike Co. 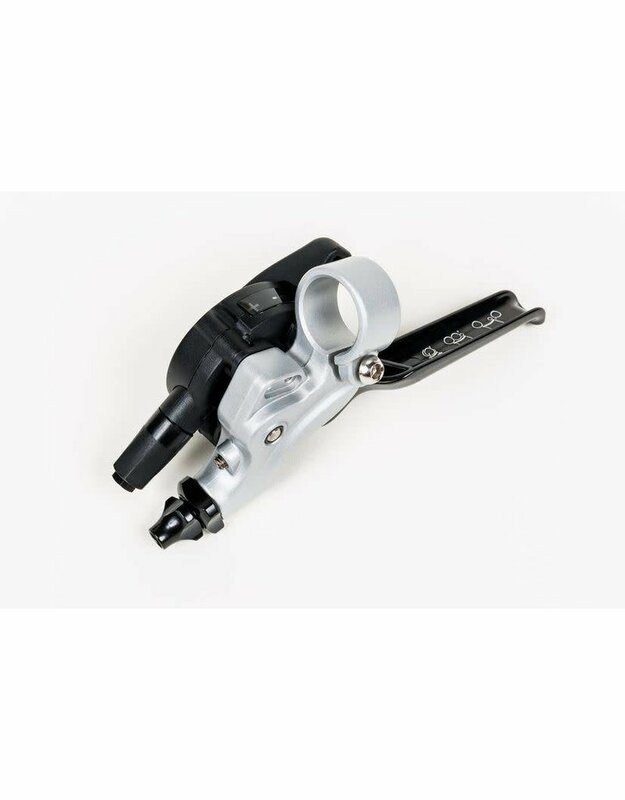 This is Brompton's current left brake lever that has been used since 2017 and is integrated with the left-hand shifter. The lever and shifter mount to the handlebar with a clamp, and the shifter pod sits slightly under the handlebar. The shifter is a 2-speed shifter (necessary on both the 2-speed and 6-speed Bromptons).